My business partner and I was discussing the other day some Value Investing plays we wanted to execute. We analyzed the companies and its respective businesses, and from 15 companies we saw, only 4 of them passed our “Cash flow” test. As deboted Income Investors, we love to invest in companies who generate a massive amount of Free Cash Flow every quarter, has a distinction in the market, a simple business model to understand, and are shareholder-friendly. But, we are Engineers by training. So, we love to analyze deeper in the infrastructure level of the company, its security measures and more things. If you had to select three companies that are not Value Investing plays but you love anyway, which companies would you pick? These are stocks that I would invest and hold for at least 12 years. This would be three of my long-term plays for a Growth Investing portfolio. Many crypto traders are just focused on short-term plays, but I know you very well that you don´t like that. You play the long-term game in the cryptocurrency world as well. So, let me ask you something: What would be your long-term play in crypto now? Ripple and XRP is one of them. Which is the other one? The “Tencent Holdings” of crypto is Binance and its BNB tokens. If I had 100 Million USD in my hands right now, I would put at least $65 Million USD on BNB tokens at this moment. That would be approximately 4,699,927.7 BNB tokens, and this could allow to use those tokens to invest inside Binance in other cryptocurrencies, and in other Blockchain projects as well. What would be incredible? If Binance in the future pays to its BNB holders, part of the profits they generate in the exchange in a form of dividends. That would be perfect for us. We kept taking about Binance and its bright future, but I promised to him that I should write an article about this using numbers, facts and data to support my investing decision. Here I go. Based in the provided information at Coinmarketcap, there are 343 cryptocurrencies listed currently in the exchange. 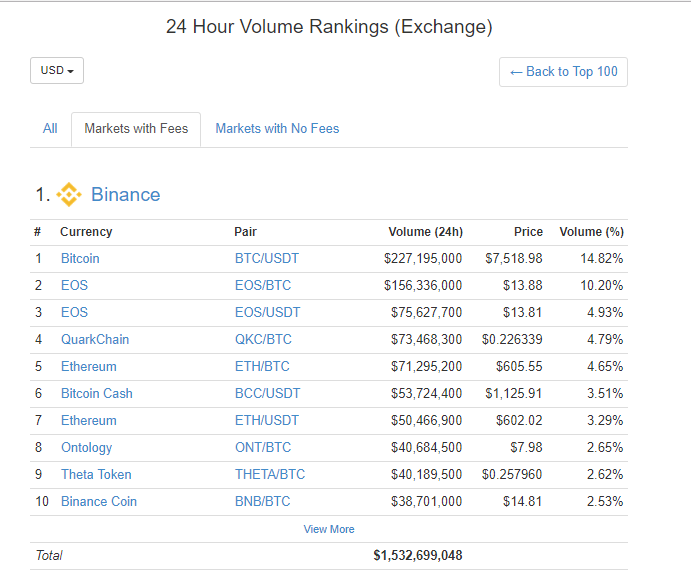 Just being conservative with the numbers, let´s analyze only the capital generated by Binance when it takes 0,1% in fees of the total of trading volumen per day: $1.532.699,048 USD. But there is a double benefits to buy and hold $BNB tokens. Binance has created a new kind of crypto competition inside its exchange. When a new cryptocurrency passes the rigorous process to be listed in the exchange, many of them have opted by hosting a giveaway for their tokens for the its top holders. This increase the trading volumen for the respective token, but if you trade the tokens with $BNB tokens, the fees are 50% less costly, so, you can more tokens from the involved cryptocurrency and at the same time, it´s a cost-effective move for you. That´s why I´m bullish on $BNB. But, let´s illustrate this with numbers. Let´s say you want to build a “BNB Fund” inside the exchange, and you deploy $1,500,000 of capital in $BNB tokens. The current price of BNB is $14.91 (June 6th, 2018), so you will obtain approximately 100.603,622173 BNB tokens (the actual number is lower because the applied fees by Binance). We will divide the fund in two parts: 50,000 BNB tokens will be holded for at least 5 years, and the 50,000 BNB will be used for trading in the platform using the competitions inside the exchange. But there are two ways to win THETA tokens. The first one is to be in the top 20 of THETA holders; and the second way to win will be a draw to 130 Binancians. (Read the site competition to see all the rules). Binance will check for duplicate or fake accounts and will not pay out referral bonuses on these accounts. Duplicate or shared finances will result in disqualification. 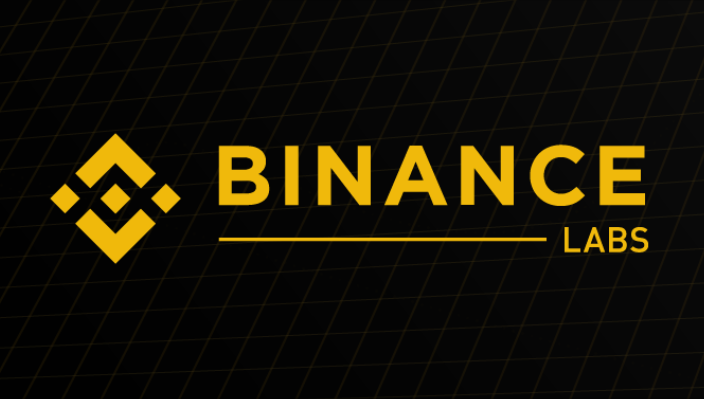 Binance invests with BNB tokens for the significant stake in the blockchain project, and then help them to increase the value of the project steadily. But another effect on this, could be to make Security Token Offerings (STO)and Initial Token Offerings (ITO) inside Binance using BNB tokens. The crowdfunding platform Republic, registered in Exchange Commission (SEC) and FINRA for non-retail investors to provide token sales and equity sales. So, it´s only matter of time that the BNB token will pass the $100 mark. For that reason, now is the perfect time to bring more BNBs to your crypto wallet. Do it now. You will thank me later.